I’ve been remiss in posting photos for the past couple of weeks so I’ll make up for it today with three, count them three, photos. Price: Sorry but I didn’t check. 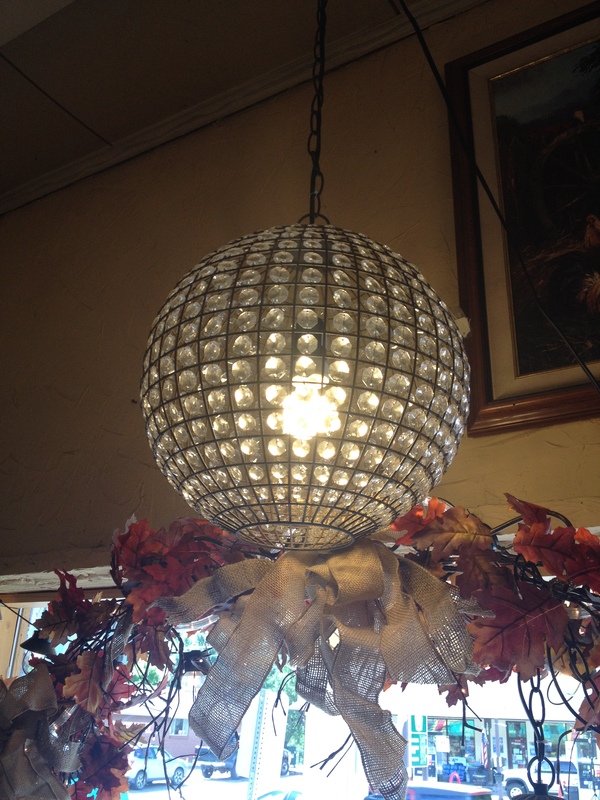 When I look at this light fixture I smile. It is definitely feminine with a touch of whimsy. I can see this hung in several places. A bedroom (boudoir) that has a cottage or French feel. It could also be used in a dining or living room with a similar feel. I think this could easily be replicated &/or the papers could be changed out based on your interests. Sheet music for a musician to be used in their music room, recipes for the kitchen, menus from your favorite restaurants for the dining room, maps for the world traveler, well – you get the idea. its approach overall with it’s classic styling. It can be used more widely in various styles – traditional, transitional, glamour, cottage, eclectic. To me, it is like a pair of diamond stud earrings because it can go anywhere without screaming for attention yet it is strong enough in style that it can stand on its own. 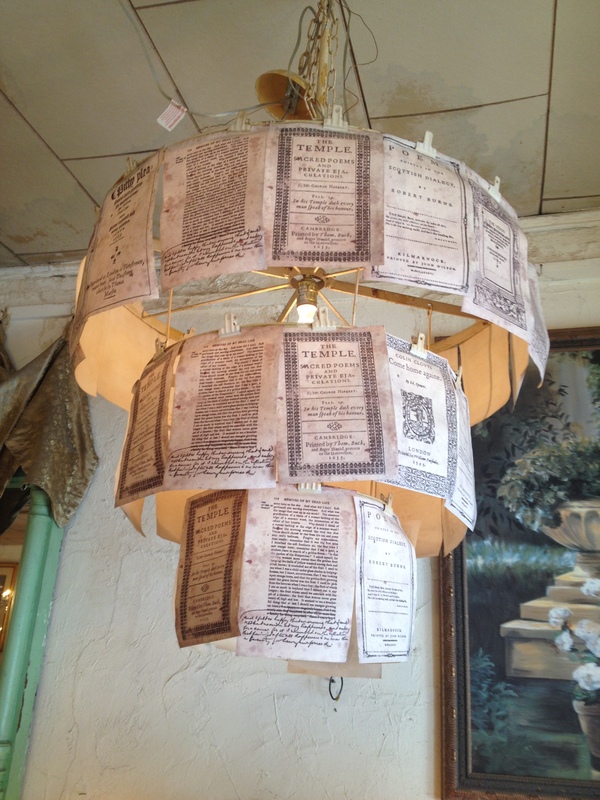 How fun would this be to place in an unexpected room like the bathroom or a simple hallway. What if you hung it in the kitchen? Clearly you’d want more task lighting in there but this could be really lovely in a corner. Again, this is a whimsical piece that doesn’t take itself too seriously and still does a good job of putting off light. Where do you see it being placed? Do any of these fit your style? Check back in the coming weeks for more photos. 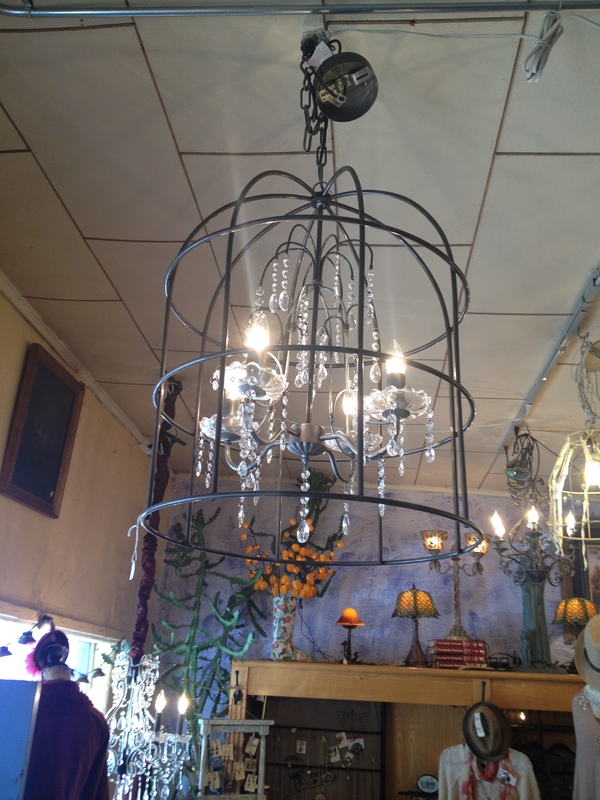 This entry was posted in Art & Design, Furniture, Interior Design and tagged beautiful, Chandeliers, Crystals, design, Eclectic, French style, Interior Design, Lighting, Whimsy. Bookmark the permalink.